(Israel) will renew regular flights to Turkey following a hiatus of more than 5 years, Israeli minister announced. 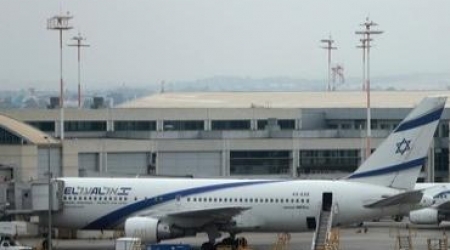 Following months of discussion between the two countries’ aviation authorities, Israel's so-called Civil Aviation Authority Director and his Turkish counterpart signed Tuesday an agreement in Ankara allowing for the renewal of flights by Israeli carriers to Turkey, Jerusalem Post reported. "The Israeli airlines halted scheduled and charter flights to Turkey more than 5 years ago, due to disputes over security arrangements at the airports in which the Israeli carriers landed," it added. Turkey's status as an Israeli tourist attraction was dimmed in the past three years following the Mavi Marmara incident.In 2010, Israeli occupation commandos attacked Turkish vessel Mavi Marmara which aimed to break the blockade Israel imposed -and remains- on the Gaza Strip, leaving nine Turkish activists dead. "If anyone deserves to find a special surprise in his car one morning, it’s Fidan, the Turkish spy chief." Israeli sources have admitted that Israel lost $ 55 million during the three first months of 2013 due to cyber attacks launched by supporters of the Palestinian cause around the world. 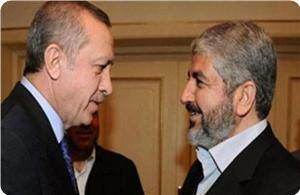 A Hamas delegation led by its political bureau chairman Khaled Mishaal conferred with Turkish premier Recep Erdogan in Ankara on Tuesday night on Palestinian developments. They discussed developments in the region and the Israeli violations in occupied Jerusalem and the Aqsa Mosque in addition to the difficult living conditions in Gaza Strip due to the siege. 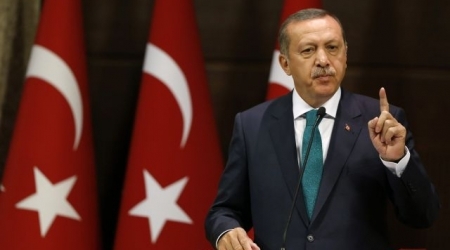 Erdogan affirmed his country’s support for the Palestinian people and their legitimate rights. He condemned Israeli violations in occupied Jerusalem and the Aqsa Mosque. The premier said that his country would continue efforts to break the siege on Gaza. Four political bureau members of Hamas attended the meeting along with Turkish foreign minister Ahmet Davutoğlu and other officials. Political bureau member of Hamas Khaled Mishaal arrived in Ankara on Tuesday heading a senior-level delegation of his movement on an official visit to Turkey. Political bureau member of Hamas Ezzet Al-Resheq told Quds press that Mishaal would exchange views with Turkish officials on Palestinian developments.